I wouldn't say I'm known for getting stuff finished early. 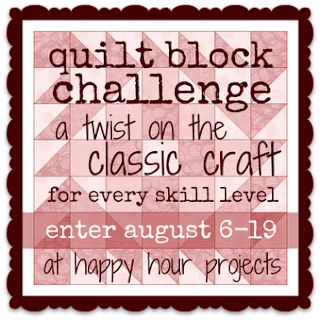 As some of you might know, I mentioned that I was participating in Happy Hour Projects Quilt Block Challenge. Well as soon as I saw the challenge, I knew what I was going to do. 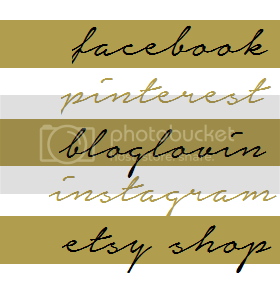 Today is the last day to link up, so here I am last minute linking mine up. You wouldn't believe me if I said I ironed this, would you? Seriously, it kept getting wrinkled. 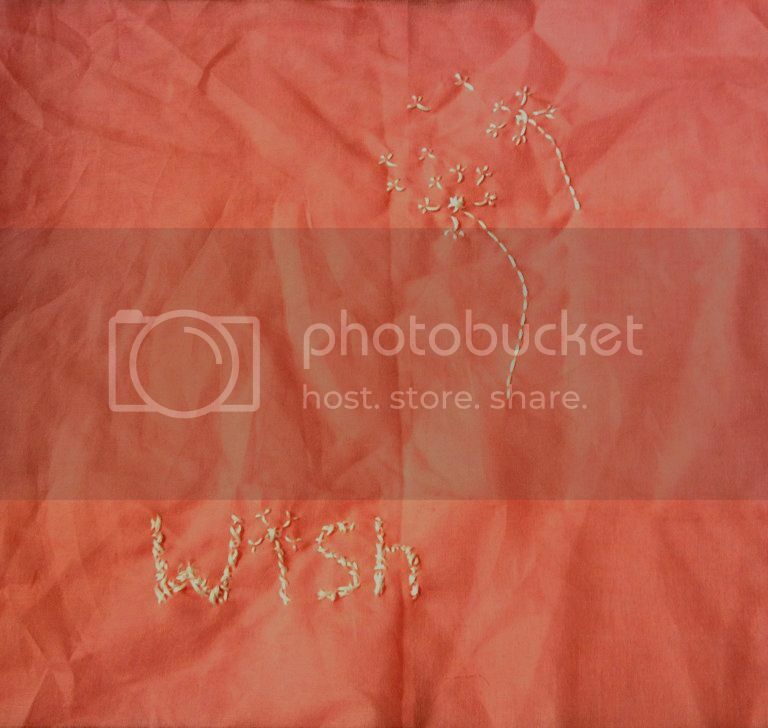 Anyway, for those of you that follow along, you know that Adiranne and I were on somewhat of a wish kick. So I knew that's what I was going to do for this. So here is my entry into the Quilt Block Challenge! I love the design - it's really sweet! The fabric does seem to be deliberately trying to show you up with all those creases though - bad fabric! This is beautiful! Now following you via the hop and would love a follow back if you have the chance. I'm looking forward to reading more of your crafty goodness!